Primary headaches include migraine, tension and cluster headaches. Secondary headaches are caused because of structural problems. Cranial neuralgia occurs when nerves in the head or neck become inflamed. Physical examination is important if headache occurs often. Headache can be described as pain in the whole head or parts of it which may combine the neck region too. There can be many reasons why does one experience a headache. Primary headaches: Causes of primary headaches include migraine, tension, and cluster headaches, and several other less common types of headache. Tension headaches are the commonest kind of primary headache. 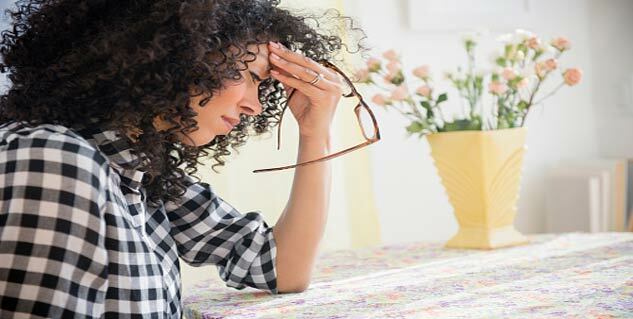 Migraine headaches are another leading type of primary headache. In some people headaches are occasional that improves quickly, while others can be debilitating. Tension, migraine, and cluster headaches are not life-threatening causes of headaches. Primary headaches can affect quality of life if they become chronic. Secondary headaches: Secondary headaches are caused because of structural problem in the head or neck. This type of headache is caused due to wide ranging reasons like bleeding in the brain, tumor, head and neck trauma, problem in the eye, meningitis, and encephalitis. Cranial neuralgias, facial pain, and other headaches: Cranial neuralgia includes causes of headaches that occur because the nerves in the head and upper neck become inflamed and are the source of the head pain like trigeminal neuralgia. Facial pain and several other causes for headache are included in this group. A headache may seem to be radiating from the rear portion of the head and neck area which can feel like a tightening pressure building up. The pressure is so intense that it feels like the complete head is pressurized and the eyebrows can feel maximum pain. A tension headache can involve the complete head and may not be disabling as many people continue their daily tasks inspite of such headaches. There is no aura or other symptoms such as nausea, vomiting, light or sound sensitivity related with this headache. Usually occurs infrequently without a pattern or precipitating cause but can occur recurrently and even daily in some individuals. A comprehensive history is important to make diagnosis of any type of headache. Your doctor will ask questions regarding how the headache starts, learn about the quality, quantity, and duration of the pain, and any associated symptoms like nausea, vomiting, or light sensitivity. In tension headache, the pain is mild to moderate, located on both sides of the head, described as a tightness that is not throbbing, not made worse with activity and not associated with symptoms like nausea, vomiting, or light sensitivity. Physical examination is important in headache, and it is normal in primary headaches. Some patients with tension headache can have mild tenderness of the scalp or neck muscles. If an abnormality is present on physical or neurological examination the diagnosis of tension headache is not considered. In patients with secondary headaches, history of the headache and physical examination provide the best means for determining the underlying cause.